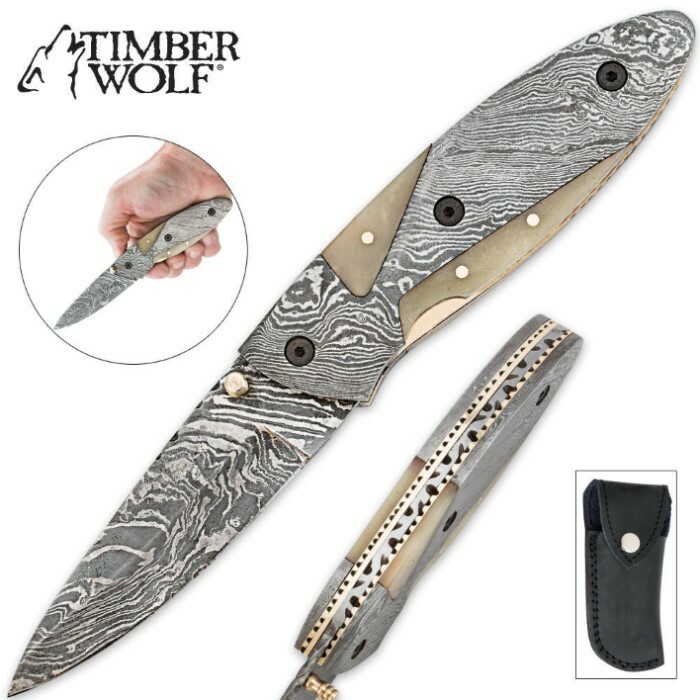 Timber Wolf Damascus & Buffalo Horn Folding Pocket Knife With Sheath | BUDK.com - Knives & Swords At The Lowest Prices! You don't have to sacrifice style or aesthetic appeal to get extreme functionality and utility in a quality knife. Nobody knows this better than Timber Wolf. 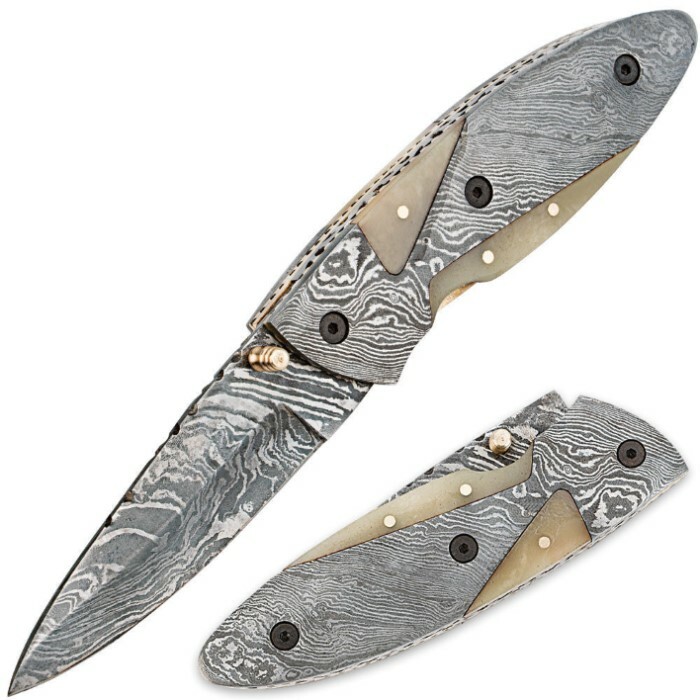 This latest folding pocket knife design brings you everything you want and require in a premium knife. 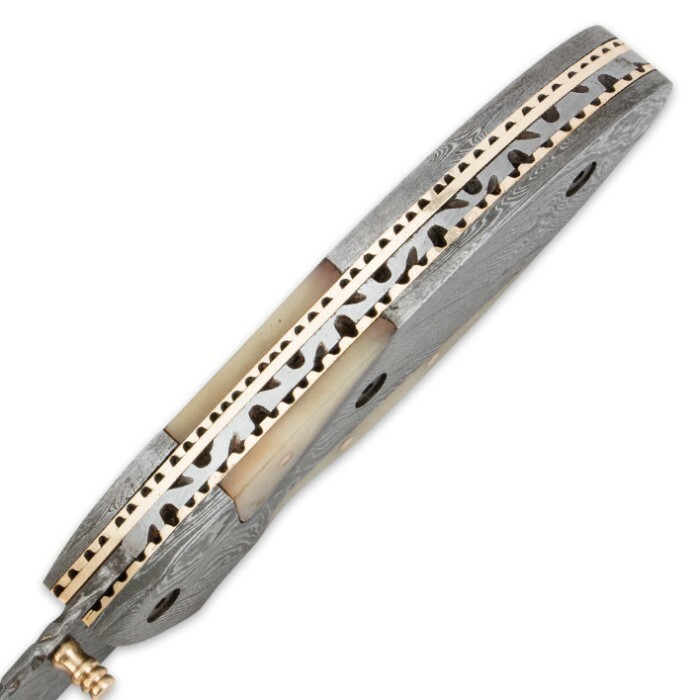 From the hefty Damascus steel construction to the fine brass accents, no detail was left unturned. The drop point blade has a sharp edge with a piercing point, and the spine of the blade has attractive scalloping designs. The thumb stud provides fast one-handed opening, and the handle features inlaid buffalo horn accents for a truly designer appearance. It comes to you with a custom leather sheath.